I am discovering in my travels that despite the fact patients have pressure-injectable PICCs, ports or central lines, these patients are are still getting stuck with peripheral IVs in CT for their contrast.Â Why?Â Because in California, for example, it is illegal for our techs to connect the contrast to their central lines.Â Our radiologists won't do it because they'd be getting up "all the time", etc, etc...Has anyone else faced a similar hurdle?Â Any suggestions?Â It's frustrating to know the technology is there and our patients continue to be stuck.Â HELP! In New York State our techs cannot flush a central line. More importantly, we must withdraw to determine blood return before any central line power injection. We have an RN in our CT department until 10p.m. and then an IV nurse covers the area by pager. Most often this is not requested during the evening period. Do you have a resource RN that could cover? This is surprising. We place power injectable PICCs and the techs recognize them. 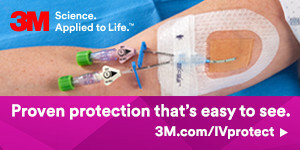 They use the power injectable PICCs for the power injection for CTs that require the faster rates. I am not sure what the difference is between the states. We have had patients without power injectable PICCs placed and the RTs in CT question us about why we didn't place the Power PICC. Of course, we don't have the crystal ball about who's condition will change and need the Power PICC. The difference is the state-to-state variations in the scope of practice for radiological technlogists. Some have their own license, some do not. Scope of practice varies because of the different structures under which they work. Yes in California only an RN or MD can actually attach the power injector to the Power PICC or Port. Luckily, we have a radiology nurse that can do it. When they are not there the patients nurse has to go to the radiology department to do it. On occasion,I will encounter a nurse that will not do it and then I just run down there and have to do it. If the patient is alert and oriented and is aware that their PICC can be used for that purpose.they will usually speak up. Somehow they find an RN that can suddenly do it!!!! I say in these states teach the patients that can understand and then they can advocate for themselves a bit easier.